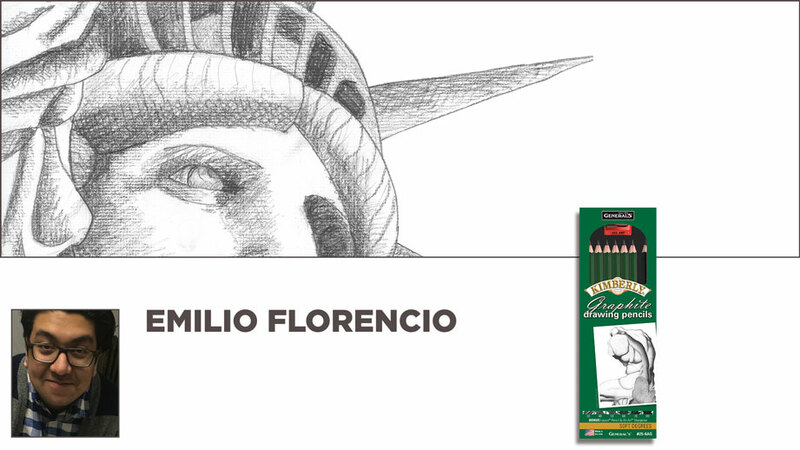 Featured Artists - Emilio Florencio - General Pencil Co., Inc.
Emilio is a BFA Candidate who currently attends New Jersey City University and freelances at General Pencil for several different projects. He started using Kimberly Graphite Pencils when his high school art teacher gave him a set as a gift. His favorite pencils are the Kimberly® Graphite 9XXB and the Primo® Elite Grande™.